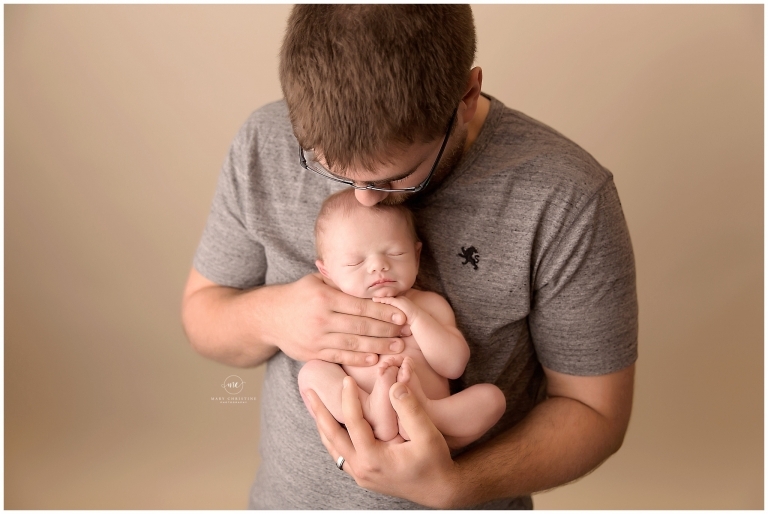 Welcome Baby A’s newborn session to the Fairlawn Ohio photographer blog! 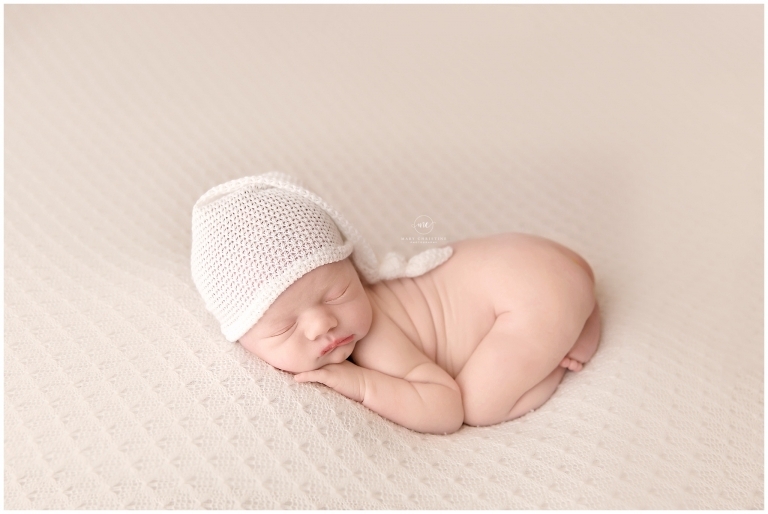 This little guy came in for his newborn session at just seven days new with a full head of blond hair! My goodness, he won over my heart very quickly! Baby A’s aunt gifted his newborn session- how amazing is that? These images will last longer than any bottle or onesie from his baby shower. Hopefully generations from now will still look at this and love them just as much as his momma and daddy do! 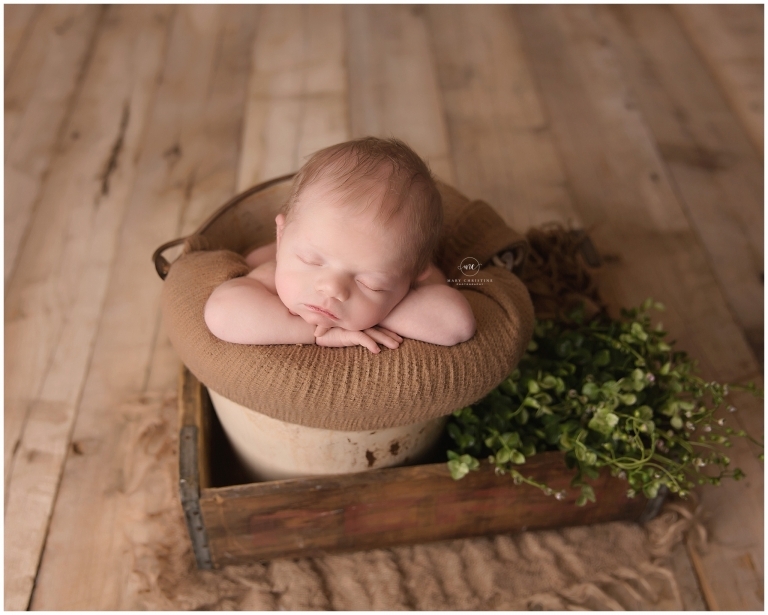 Baby A was super sleepy and laid back for his newborn session! In fact, he was so good that we were done with his naked posed shots in thirty minutes! We were done with his session in just over an hour with almost fift images in his gallery. This, my dear friends, may be a record. His daddy had done a great job of keeping him awake before they came so he snoozed right on through. Babies in buckets are always a favorite of mine! It never gets old! How sweet is Baby A in this bucket from Rozzie Rayne Props? Since it is now officially spring, we had to pull some greens in as well. 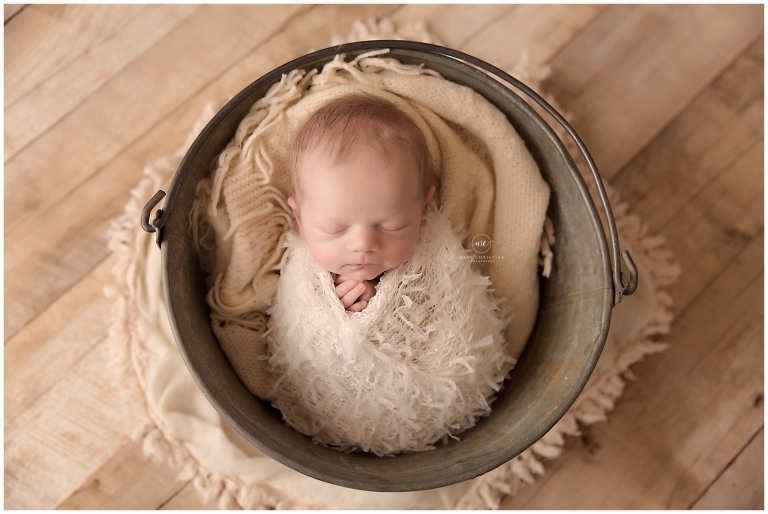 I am loving every image from his newborn session, it is just so difficult to pick a favorite! Baby in daddy’s hands are always my favorite! It shows how tiny they are for such a short amount of time. Oh little man, you are so loved. Welcome to the world! Thank you so much for stopping by the blog! Are you expecting and looking for a Fairlawn Ohio photographer? I would love to do a newborn photography session for you! Please check out the newborn portfolio and similar newborn sessions on the blog.